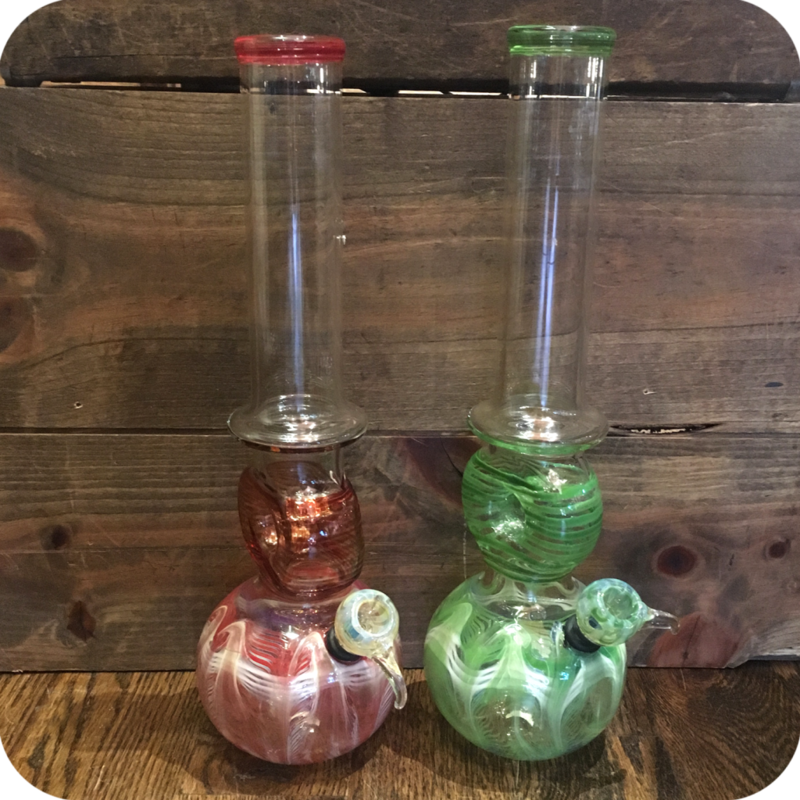 The Large Donut Water Pipe is a seriously hard hitting pipe meant for smokers all kinds! This pipe stands at about a foot and two inches, which means the smoke has plenty of room to build. It also conveniently features a donut hole center for an easy and safe grip. This is a truly underrated feature perfect for those clumsy accident prone smokers. To use, simply pack the bowl with your favorite legal herbs or smoking tobacco. Light the bowl, and start to slowly inhale. Watch the smoke build up as you inhale and when it’s time to clear the smoke pull the bowl from the pipe and inhale one last time. It is as easy as that! There are many advantages to using a waterpipe as opposed to any other standard pipe. The main advantage is the extra filtration you get from the water. The water is able to filter out unwanted toxins that can be harmful to the user. The other advantage is the smoker gets a larger hit that feels much smoother. This is because the water also cools the smoke before it hits your lips. This means you end up conserving your legal herbs much better than any other pipe. Finally, be sure to swing by any one of our three Brooklyn store locations to see what else we have to offer! Categories: Water Pipes, Water Pipes. Tags: Brooklyn, brooklyn smoke shop, bushwick, glass, Large Donut Water Pipe, new york city, pipe, waterpipe.